Erik is the co-founding partner of Bronsgeest Deur Advocaten and has over twenty-five years experience advising on all aspects of employment law. He took a law degree at the University of Leiden in 1989 and joined the Amsterdam based law firm Ekelmans Den Hollander. 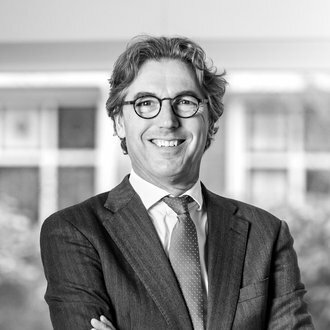 Following the merger with HoganLovells in 2001, he led the employment law team in Amsterdam and in 2003, together with Henriëtte Bronsgeest, he founded the specialist employment law firm, Bronsgeest Deur Advocaten. Erik advises Dutch and international companies on employment law issues with a particular focus on corporate restructuring and negotiations with Trade Unions and Works Councils. He is a member of the Association for Employment Lawyers in Amsterdam (VAAA), the Association for Employment Lawyers in the Netherlands (VAAN) and the European Employment Law Association (EELA). Erik is recommended as leading labour and employment lawyer in the Netherlands in Legal500, Chambers and Who’s Who Legal.